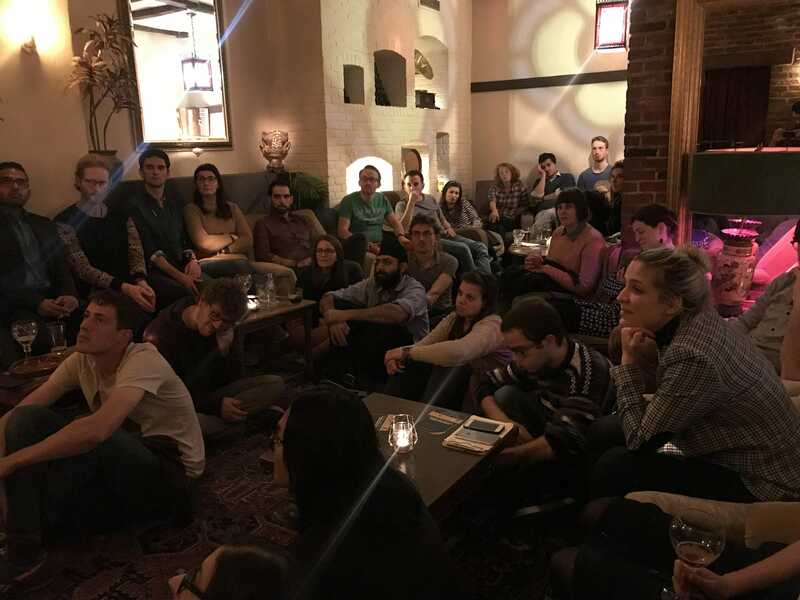 No, this is not the beginning of a joke, but rather of a new initiative that got kicked-off on 27 November in Brussels, Belgium. 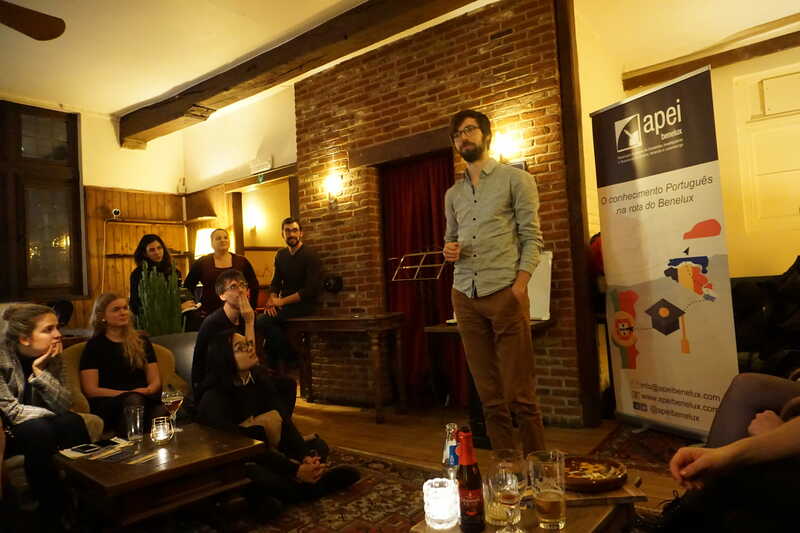 PUBhD Brussels is a format in which young scientists get the chance to talk about their research infront of an interested audience. The idea – help researchers get more at ease with science communication and outreach. 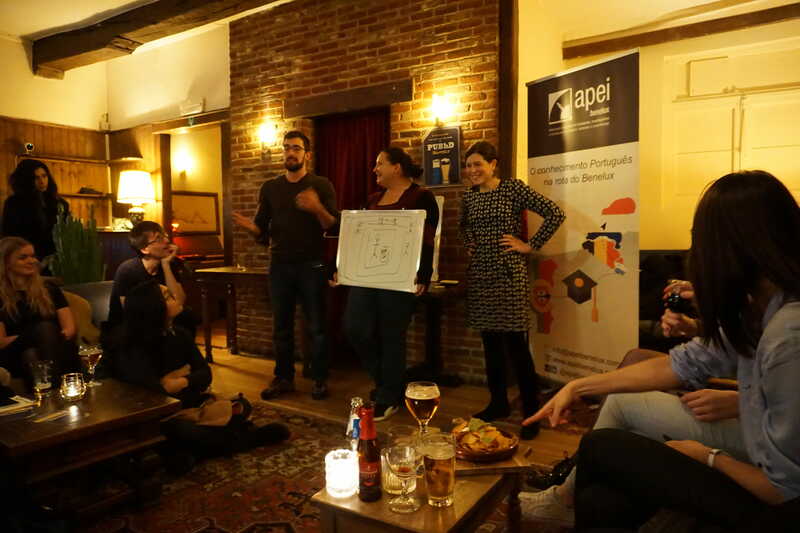 PUBhD exists around the world, but we added a little twist to the Brussels edition. We decided to include micro-workshops after all the talks for those interested in different aspects of science communication and may be dipping their own toes with either of the tools we plan to outline in the future editions. The first is always special! For our first edition we had three researchers from vastly different fields of research and a bunch of friendly people coming to learn something new. First up was Véronique De Herde from UCL. She talked about her research on the historical influences of the modern dairy food and supply chains and how those influences can be taken into account when aiming for a more sustainable production, distribution and use of dairy products in Belgium. One of Véronique’s most valued points according to our audience was that sustainability is not an abstract aim that can be conceived in disregard of historical factors affecting the players in a given industry. Next us was the gentleman for the evening. Leendert Hayen from KU Leuven is a theoretical physicist who loves to be proven wrong by experimental physicists. He conducts thought experiments and with the help of high-level math he makes hypotheses on the outcomes of nuclear decay in different conditions. He is most happy when his experimentalist colleagues prove his hypothesis wrong. For when they show experimentally something unexpected, Leendert knows science has stumbled upon something new that out to be studied. Jana van Dycke, also from Leuven, went on to blow the minds of the attendees with her work on fighting pathogenic viruses. Who knew that a virus that is extremely contagious and can cause severe symptoms and even death in people with weakened immune system can be virtually impossible to grow in the lab? Jana talked about her efforts to establish a new model system for growing norovirus in the lab. Her purpose, nobel of course, is to make it easier for scientists to try new drugs and vaccines to stop the disease from spreading. Rodrigo introducing with few words our initiative. A full house of curious and bright young people came to encourage us and our first speakers. Me talking about the social benefits of science communication in brief. 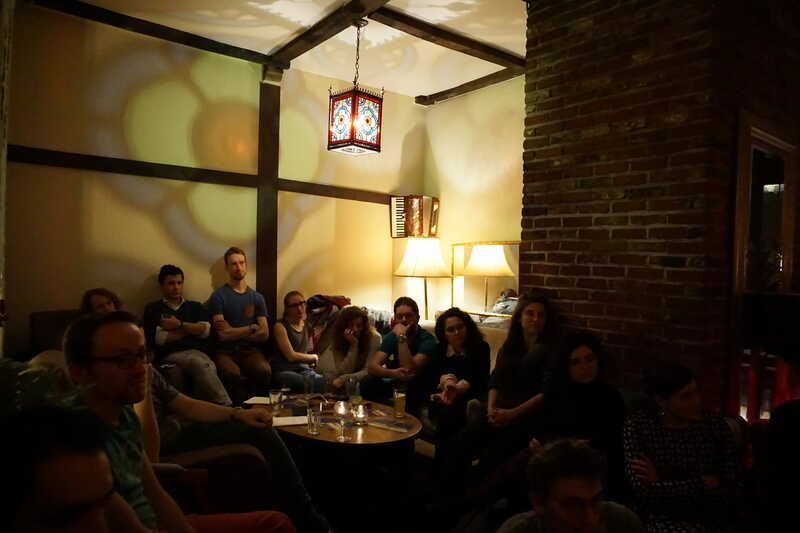 Very intimate and friendly atmosphere in our venue. 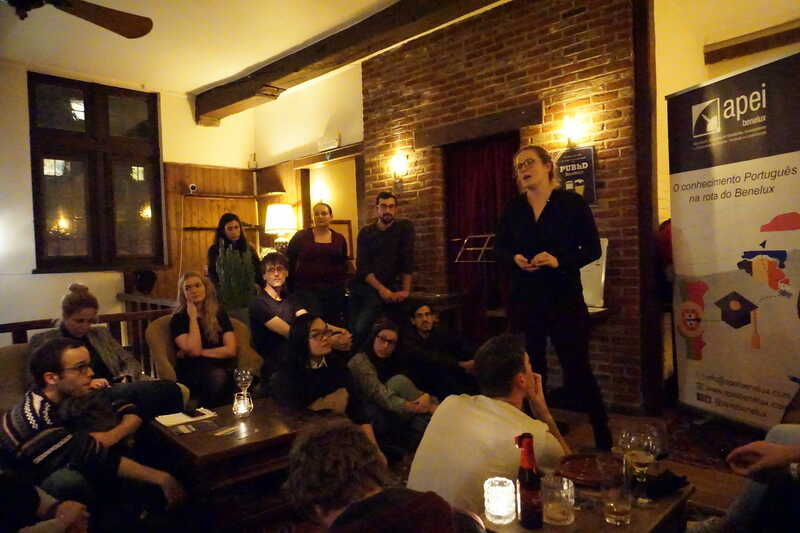 Currently, PUBhD Brussels is just Rodrigo and I with few friends helping out out of the kindness of their hearts. Rodrigo is involved in organisation APEI Benelux, and I stand in as part of my own Scircle Ltd. The feedback we received from the people who came was so overwhelmingly positive, that we are sure the will be another edition. December and January are difficult months for scientists, especially travelling between home country and country of research, so we are probably looking at late January or early February, but safest thing to so is to follow our facebook page @pubhdbrussels. We create our events there and post updates. If you are not much of social media buff, you can always send us your contacts to pubhdbrussels@gmail.com and we will send you a newsletter when the new date is settled with all the other details. If you yourself are a scientist and want to give our format a try – by all means you are welcome. We love all science, so as long as you are passionate about your own research, you are welcome to share that passion with our network. Drop us a line on our email on Facebook to express interest and we will get back to you to find you a spot!